At the on-going IO developer conference today, Google has revealed the Android Go, an initiative designed to fill the void left by the Android One program. Basically, the Android Go program is a lightweight version of the upcoming Android O and later devices. It's designed to work with lesser hardware, limited network connectivity, and even smaller data plans. 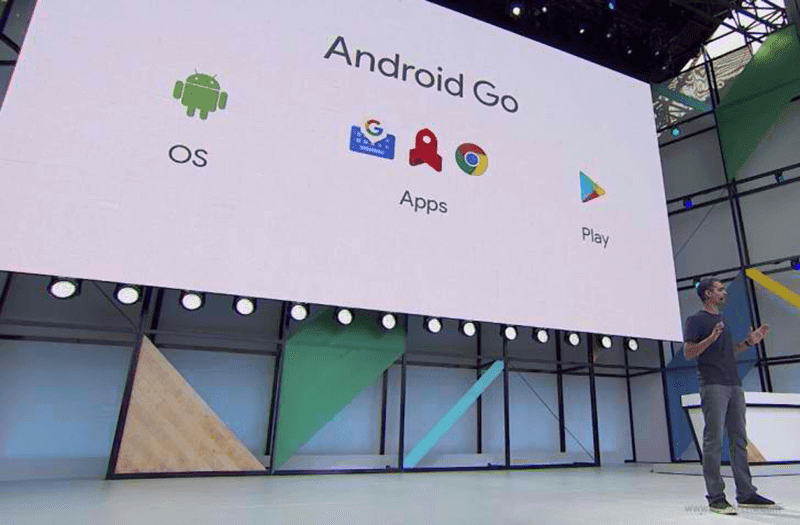 Google's term is it'll "Go-ify" all the pre-installed apps on Android Go devices to make it as optimized as possible. Technically, those apps includes YouTube Go, Chrome, Gboard, Facebook Lite, Skype Lite, and more. Android Go is compatible and will run smoothly and efficiently on entry-level devices with 1 GB or even less up to 512 MB of RAM. The first Android Go devices will ship in 2018!